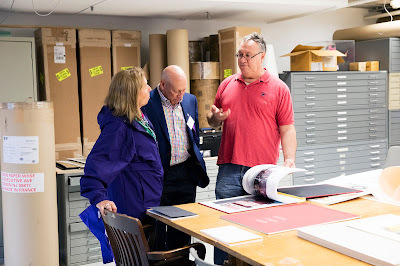 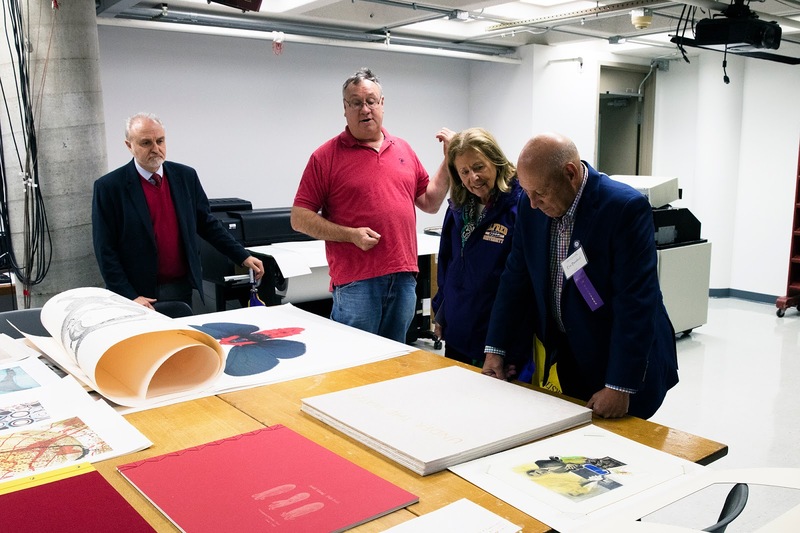 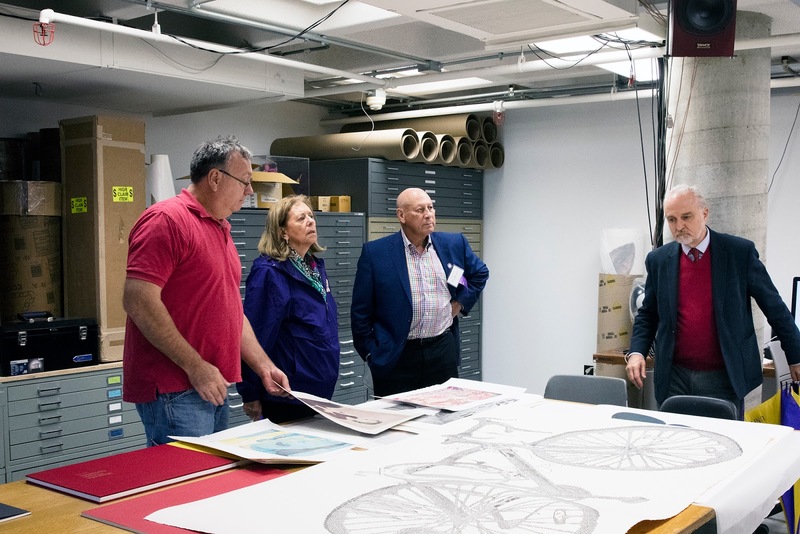 Joseph Scheer discussing the Institute for Electronic Arts and Print Media Work from the Division of Expanded Media with Alfred University Trustees Eric And Susan Bershad. 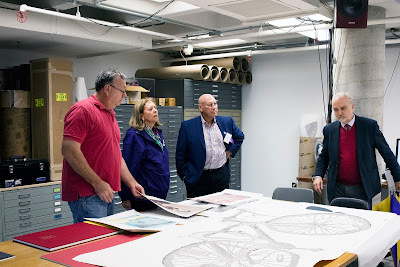 Professor Andrew Deutsch and Dean Gerar Edizel were giving them a tour of the Division. On the table are works by faculty and students of Expanded Media ready to be packed for an exhibition that Joseph is taking to China at Tsinghua University in Beijing, China. 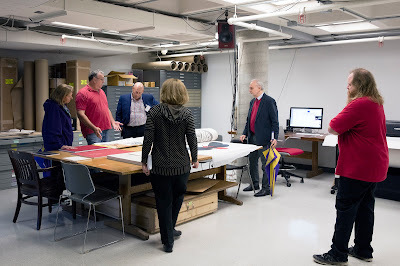 While there he will be a Visiting Artist giving lectures and a workshop on laser cut woodblock printing. 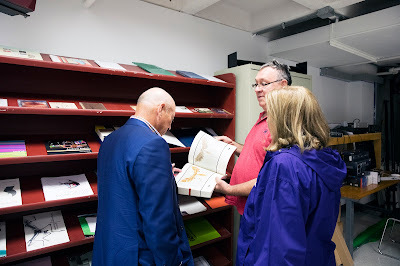 The Bershad's viewing Joseph's artist book "Night Flyers"